Now that the student has the fundamentals of note reading, it's time to really begin. Here your child will learn and play 96 different songs, with varying degrees of difficulty. Some will be played from sheet music, others will be played from the simple string system they've been using so far. You'll love the User-friendly instructions. 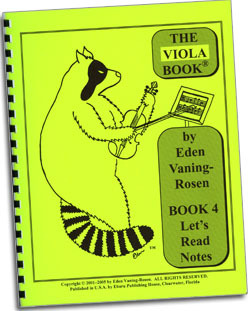 And your child will even learn how to change Viola strings in a simple, step-by-step manner. Your child will enjoy choosing their favorite songs from an array of lively and well known songs. performing an "International" Viola Concert. You'll love to hear your child play Irish Jigs, Classical, Country, English, French, Early American tunes and much more. How can it be this easy? 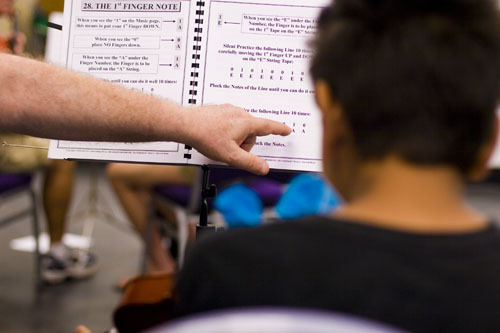 The child moves over to reading music notation from the earlier, beginning system used to read simple songs, by a process of leap-frogging, (alternating note reading skills with learning new songs.) The student is busy playing songs, then they're busy learning to read notes, back and forth in tiny bits, keeping their motivation always at a high peak! Most students don't even notice the earlier reading system has gradually been taken away. They have easily and naturally adapted to reading music notes. It's so simple, and you will learn to read notes too! The songs learned are Irish jigs, classical tunes, American, international and country favorites, and many more. You'll love the User-friendly instructions In fact, if you, the parent, wanted to learn to read sheet music, you could follow along and understand it quickly using this book. Some students are really good at reading music at Sight. What should other students know to help them do this? Learn how to really understand the sharps and key signatures and how to use them on pages 86 through 99. What are the secrets to really playing in tune on the viola, and how do you practice this skill? A step-by-step, clear explanation is presented on the secrets of really understanding how to play in tune and how to practice this. Check out page 58-74 and 84-85. Music becomes more exciting when you can do different types of strokes with the bow. Learn what these different strokes are and how to do them on pages 106 through 113. How do you organize your mind in order to achieve success in reading more complicated music. 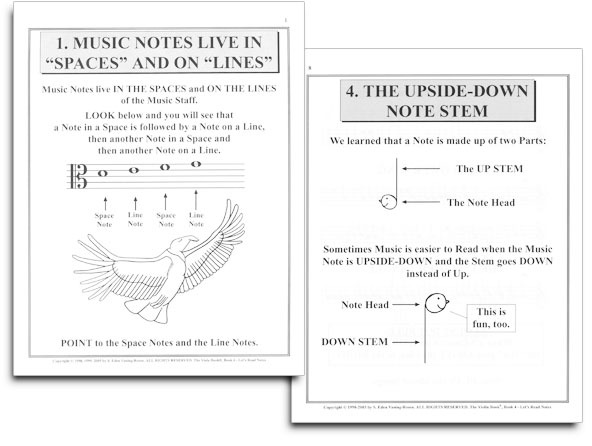 You won't want to miss this secret (on pages 124 & 125) to learning more complicated music. What are all the extra lines for on the music staff? Where is my child going to be at the end of this book? When they complete Book 4 your child will be ready to perform many Holiday Carols with their friends, or play lively Irish music, such as The Jig, Irish Washerwoman, Waterloo Hornpipe; German Polka; and fiddling the lively American Country Reel. The carefully evolved presentation of the material helps them to walk up to higher degrees of ability of viola playing, all the while enjoying and sharing their talent with others. The wonderful world of music making on the viola unfolds beautifully for you with The Viola Book Series.